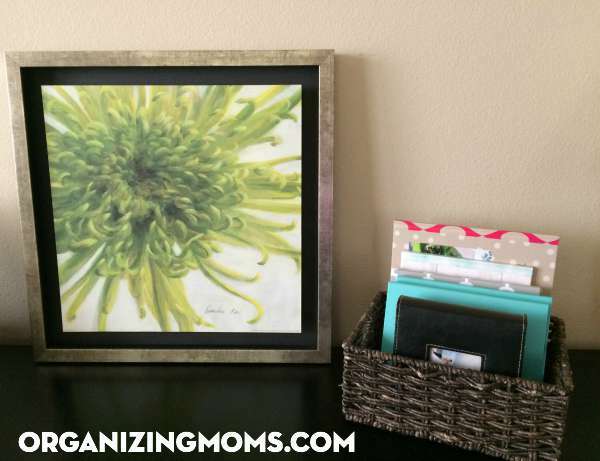 Are your photographs scattered about in various places throughout your home? Do you constantly find those little photo envelopes filled with snapshots from the 80s? Are you looking for a photo organization solution? Two bins, full of photos and craziness. 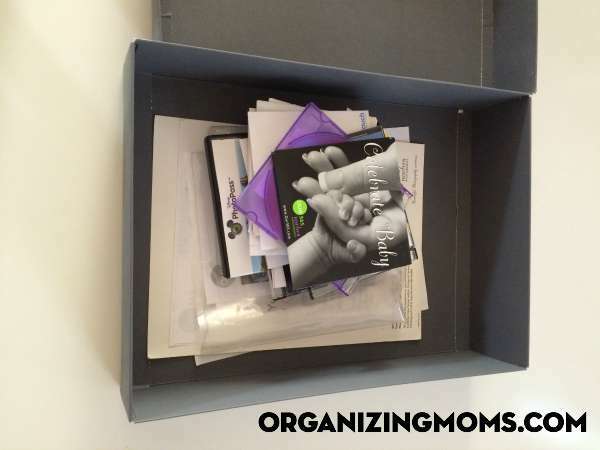 Gather all of your photographs that need to be organized together in one spot. 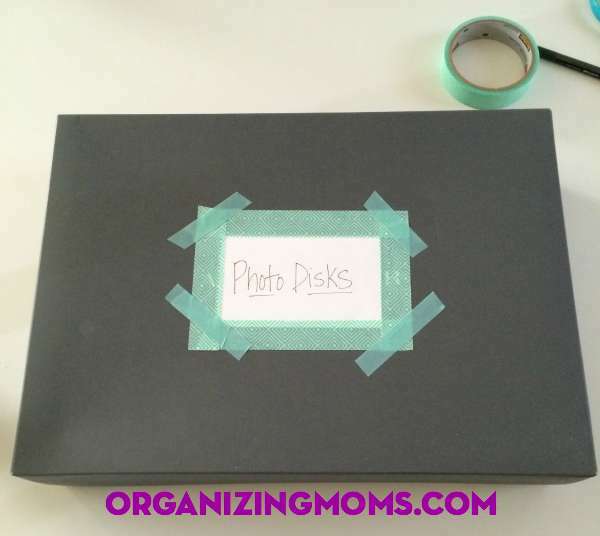 If you have some photo albums that still have some empty space in them, you’ll want to include those too. 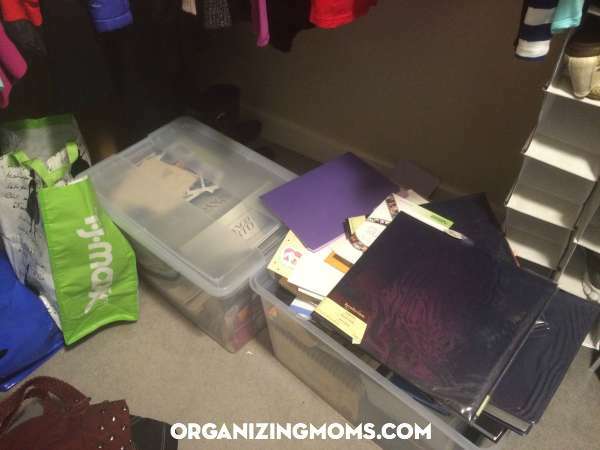 Put them in a place where you’ll be able to work on organizing them. For me, this spot was our closet. I wanted to work on organizing our photos during naptime, but I also wanted to listen to podcasts while I worked to help the time pass. By setting up shop in the closet, I was able to play podcasts without waking up the kids while they slept. Find a place to store photo CDs, DVDs, and paperwork about your rights to make copies of photos. I used an old clothing gift box and labeled it – because I will most certainly forget what’s in this box otherwise. Go through all of your photographs. Declutter them as you go. I was shocked at how many truly horrible, random pictures I had saved and moved with me throughout the years. I had way too many shots of the inside of my purse from the days of disposable cameras! I had a lot of pictures of people that I vaguely remembered, and I felt guilty about getting rid of pictures of them. My heart told me that at one point in my life, we were friends or friendly acquaintances, but my mind couldn’t even remember their names. I had pictures of other people who I just really didn’t have good memories of. 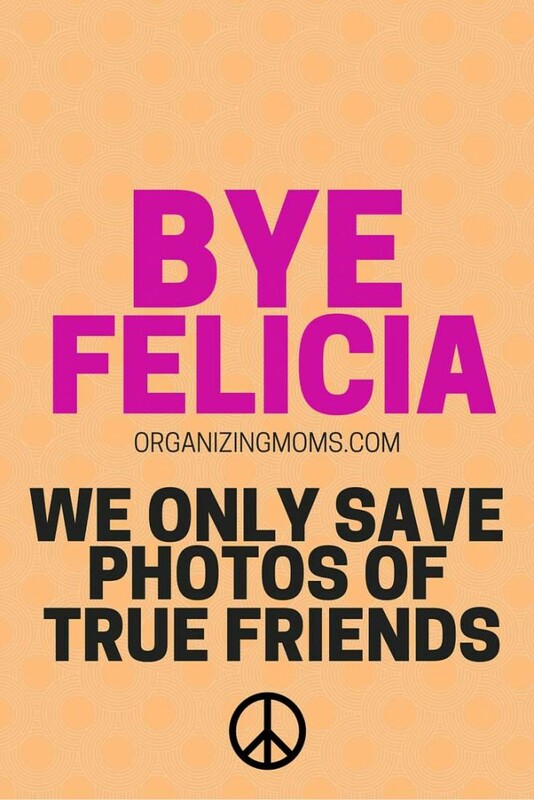 I roomed with a girl named “Felicia” throughout college, and she was never very kind to me. Because we lived together, I had a lot of pictures to her. But, every time I saw a picture of her, my stomach dropped at remembering her manipulative behavior. When you’re creating your photo albums together, you’re essentially putting together the story of your life. Choose the memories that bring joy to your heart. 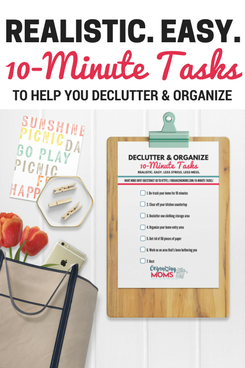 Declutter the rest. If you feel super guilty about getting pictures of someone (maybe a family member, or someone you feel more of an obligation to), consider putting snapshots of them in a photo box. You can store it away from your photo albums, and go to it if you absolutely need to. 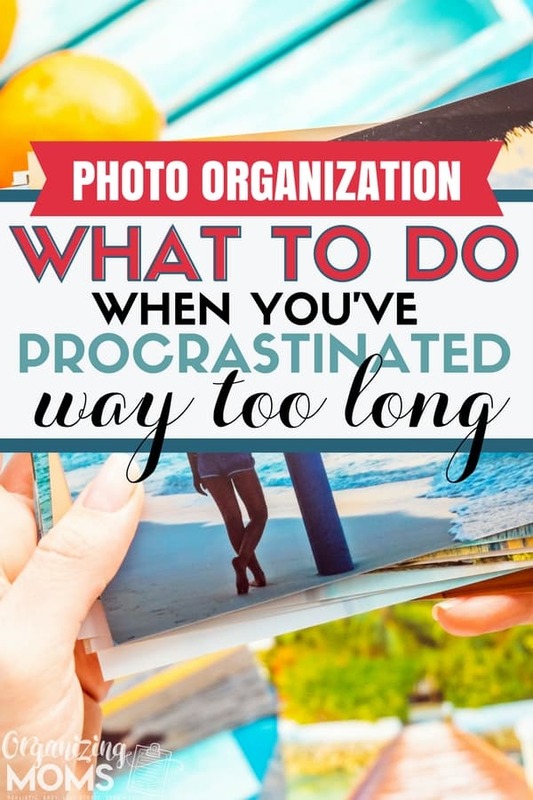 Get Those Photos Into Albums! Start putting photos into albums. If you have doubles of photos, put them in the album together. If someone asks you for a copy of a photo, you can give it to them right away. Because I had a lot of photographs, and a lot of different categories, I decided to purchase smaller albums. I was able to find these in 2-packs at Wal-Mart for $4.97. It’s worth noting that some stores don’t sell photo albums anymore. I checked at Target first, before heading to Wal-Mart, and I was told that they no longer stock photo albums because, “No one uses them anymore.” Ahem. I was really keen on having a specific Christmas photo album for photographs, and past Christmas cards. I was able to find a nice red album from Amazon that worked well. 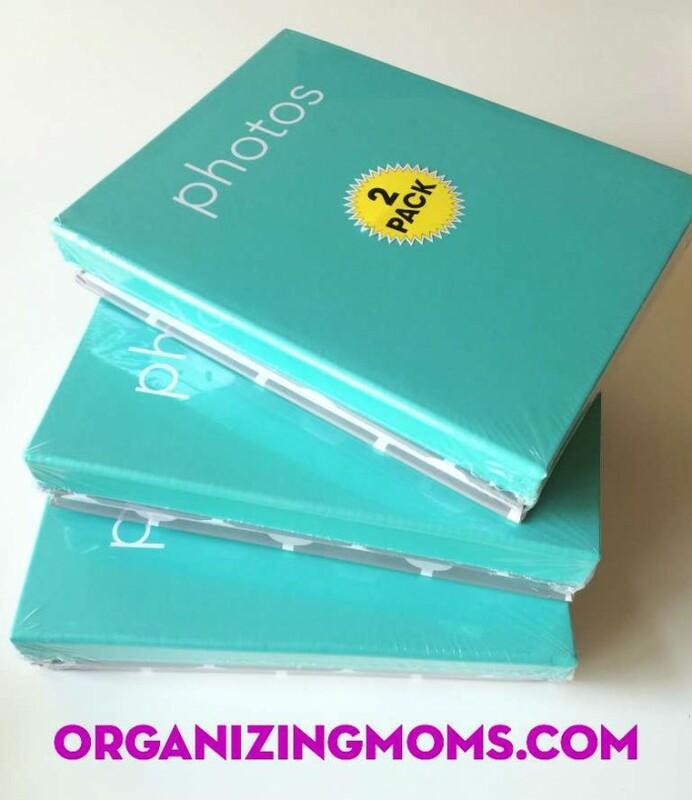 You’ll probably find yourself with a big stack of photos that don’t fit in your albums. Maybe they were old school pictures, family pictures that you replaced with updated versions, etc. 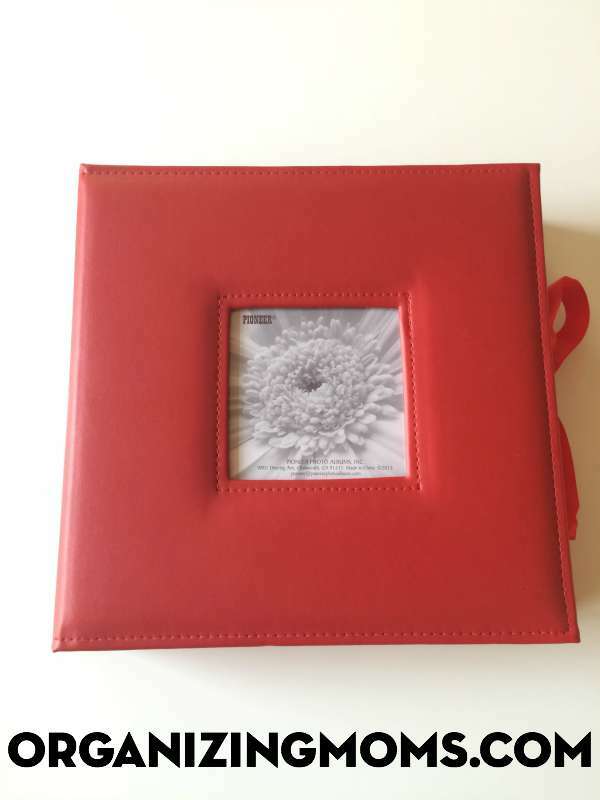 For your oversized photos, you can purchase an inexpensive scrapbook album, and load the photos directly into it. That way you can still enjoy them, and you have a place to store future photos as you change things around in your displays. We decided to display our albums at a few different locations in our house. I wanted to keep them out in the open so we could remember that we have them to enjoy. Be More Productive by Listening to Podcasts – A great way to make all of these never-ending projects go a little faster.